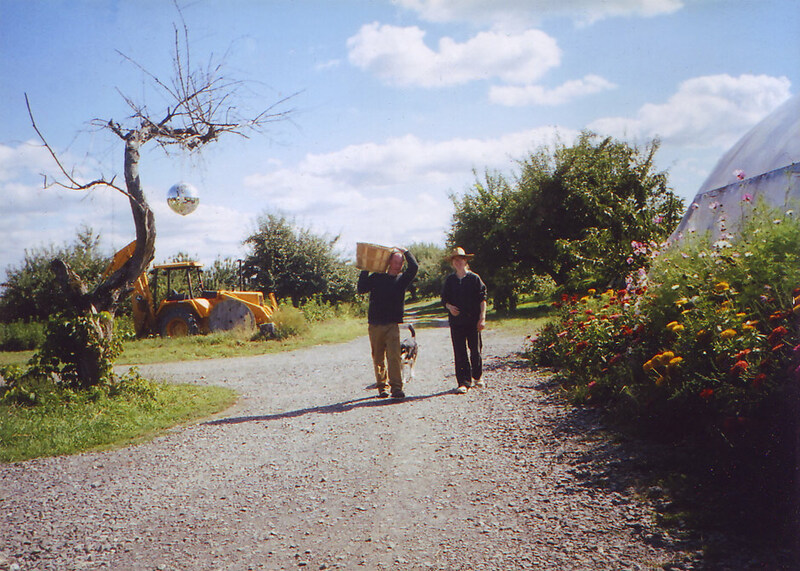 Farmer Stephen and Jen, The Farmer’s Wife; Balto, a bushel of apples, and a disco ball. Dr. James Cummins, a.k.a. "Dad."